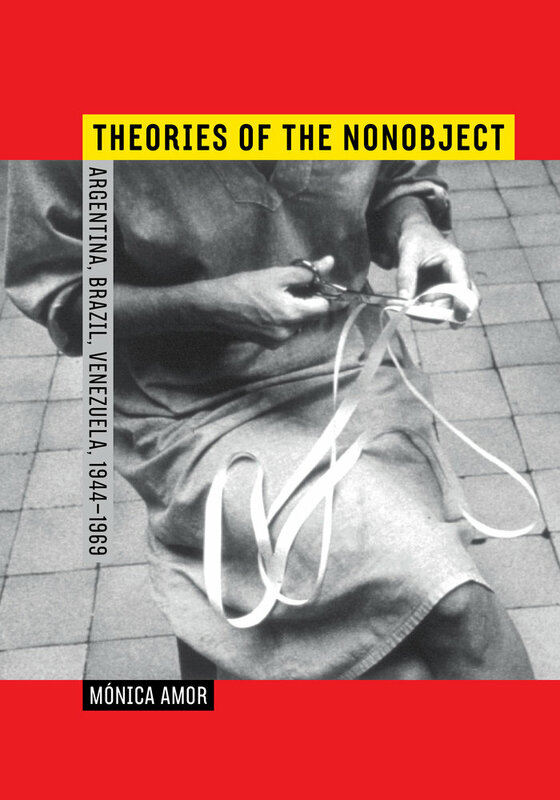 Theories of the Nonobject investigates the crisis of the sculptural and painterly object in the concrete, neoconcrete, and constructivist practices of artists in Argentina, Brazil, and Venezuela. Mónica Amor, a native of Venezuela, presents case studies of specific movements, artists, and critics, tracing their role in the significant reconceptualization of the artwork that Brazilian critic and poet Ferreira Gullar heralded in “Theory of the Nonobject,” a seminal essay published in 1959 in the Suplemento Dominical do Jornal do Brasil. 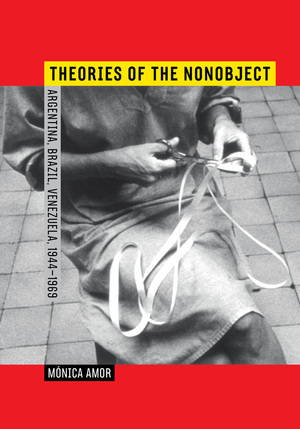 Based on deep archival research, this distinctive book brings scholarly attention to a group of major art figures, including Lygia Clark, Hélio Oiticica, and Gego, whose work proposed engaged forms of spectatorship that dismissed medium-based understandings of art. Exploring the philosophical, economic, and political underpinnings of geometric abstraction in post–World War II South America, Amor highlights the overlapping inquiries of artists and critics who, working on the periphery of European and US modernism, contributed to a sophisticated conversation about the nature of the art object. Mónica Amor is Professor of Modern and Contemporary Art at the Maryland Institute College of Art. She has contributed to publications such as Artforum, ArtNexus, Grey Room, October, Third Text, [TRANS-], and ARTMargins. Amor has also curated a number of exhibitions, including Altering History/Alternating Stories for the Museo de Bellas Artes de Caracas (1996); Beyond the Document for the Museo Nacional Centro de Arte Reina Sofía, Madrid (2000); re-drawing the line for Art in General, New York (2000); Gego: Defying Structures for the Serralves Foundation, Porto (2006); and Mexico: Expected/Unexpected for La Maison Rouge, Paris (2008).